Releases don't always go smoothly. We released the seven young tawny owls that were with us for four months in a 1,000 acre plot of land - perfect for wildlife. All the owls flew magnificently out of their box, but one of them ended up, by mistake, on a lake that was slightly further away from the release site. After releasing many tawny owls in this lovely area, one of them landed on a lake slightly further away from the release site. He was struggling to take off and his wings were starting to get heavier with the weight of the water. We had to save him as quickly as possible. We rushed to his rescue, as he could have drowned if he had stayed too long in the cold water. Strangely enough, he swam towards us, as if he knew what we were trying to do! We brought him back to the center to warm him up. We released him near the center a few days later. 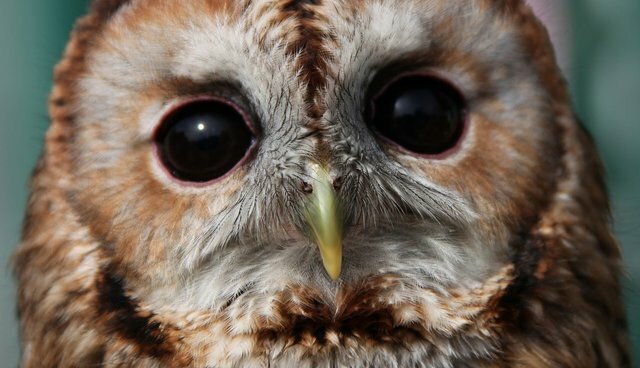 In 34 years of Wildlife Aid, it's the first time an owl release has gone awry.